Welcome to my teacher portal. Here you will find homework assignments and any special announcements. I look forward to another great school year. 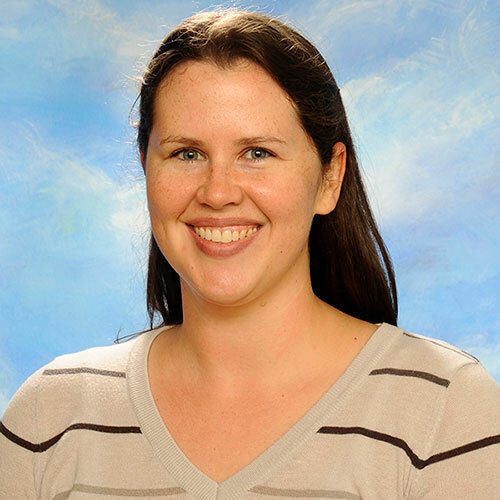 Jennifer Kirchner is the seventh grade homeroom teacher. She teaches fifth through eighth grade science and seventh grade religion. She has one year of teaching experience with St. Francis de Sales School. She holds a Bachelor’s degree in exercise science and a Master’s degree in Applied Health Physiology. Ms. Kirchner’s teaching philosophy is to keep students engaged with learning new subjects. Her classroom mission is to encourage independent thinking and cooperative group learning. She personalizes learning using a variety of tools to help students achieve success. This includes helping students to create their own science notebooks which helps them to organize their thoughts and reflect on previous concepts throughout the year. Focused on dynamic learning, she follows the hands-on learning in the lab with discussions and encourages them to test their ideas by creating their own experiments weekly and then problem solving within their groups. On December 6th at 2:00 pm 7th grade students will travel to John Parson’s Assisted Living Home to have a “Ball” with the residents. In the past they brought food, decorations and games. The residents love it! Permission slips will go out at a later date. Boards will be displayed in the church the for viewing by parishioners over the weekend.